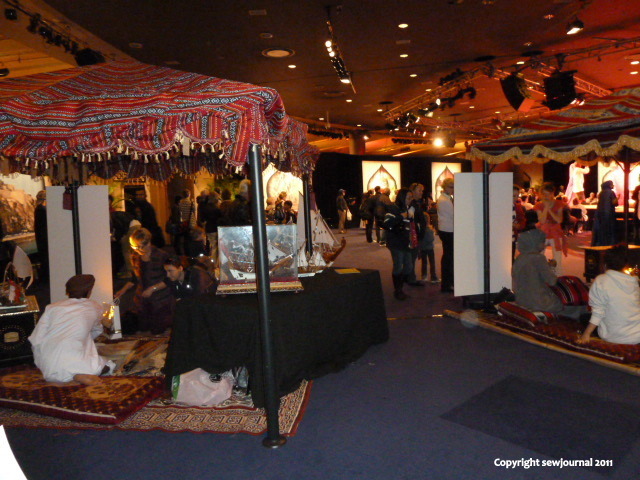 On Monday my husband and I visited the Omani Cultural Days at Darling Harbour in Sydney. It was a really lovely experience. 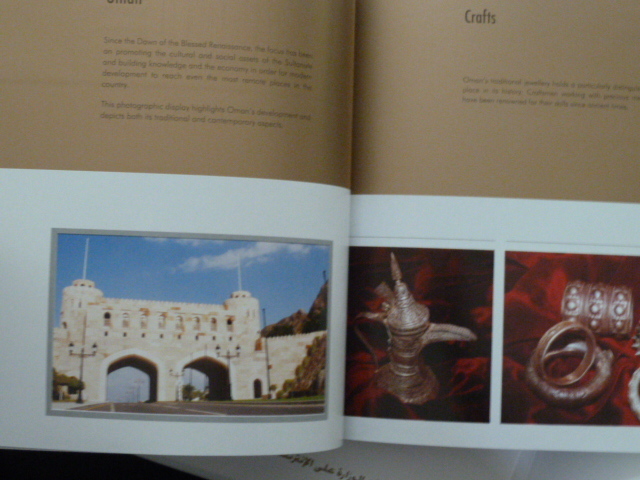 I asked permission to take some photos and received it so come with me and visit a virtual Omani Souk. These lovely ladies are wearing traditional costume. Isn’t it lovely? 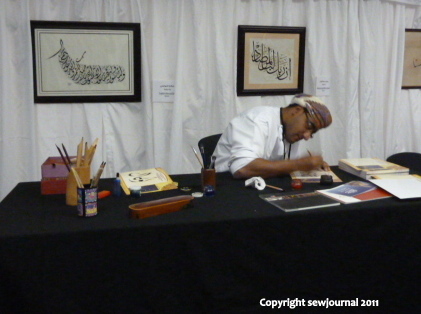 The man below was writing people’s names in Arabic Calligraphy. Here’s mine. It looks so much more impressive like this! 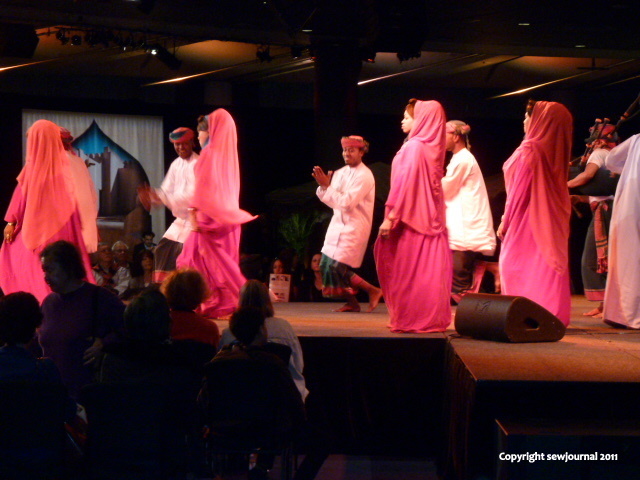 Here are some more photos of the hospitality tent, the Henna tent and some traditional dancing to bagpipes! 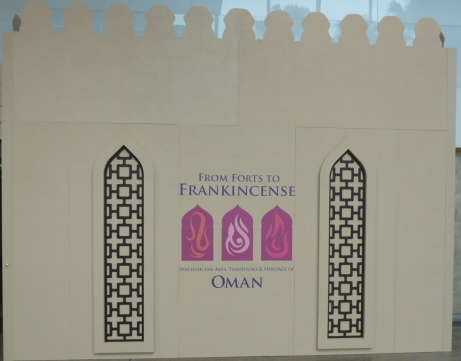 Who knew bagpipes were used in Oman? Then last, but certainly not least, we were given this mini CD. What’s on it? Hmmm. Can’t tell you. Why? It’s inside my iMac and I can’t get it out! I didn’t even stop to think before I stupidly posted it into my iMac. I have tried every tip on the internet to get it out but to no avail. (Including putting a larger one in too so that they get ejected together. Er, no! That’s not how it works. They both get stuck. Fortunately that problem is solved and the iMac did spit out the large CD but it’s holding onto the small one so a trip to a free exhibition has resulted in a not so free trip to the Mac guy. 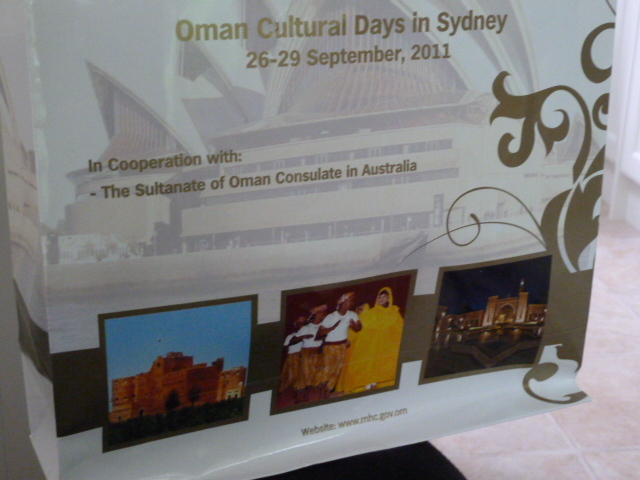 Sigh… Oh well it was great while we were there and if you’re in Sydney it’s on for another few days. 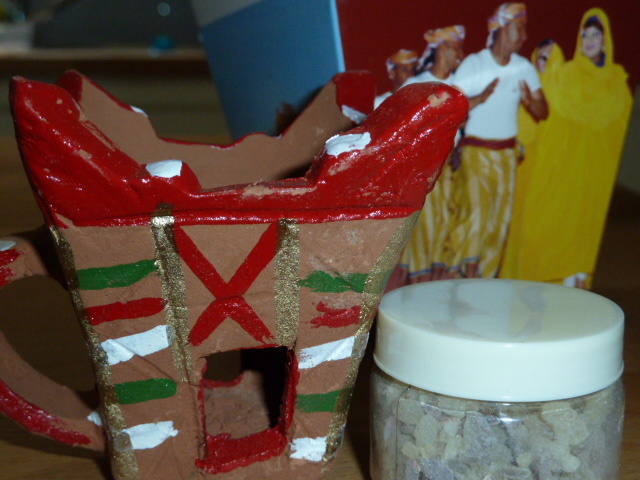 One little tip – don’t watch the CD unless you have a pop-out tray. What a neat thing to go to!!! Thanks for sharing that. I almost feel like I was there. Lovely! I have always wanted to have Mendi done on my hands. It looks so beautiful and graceful. You should do an applique of your name. It looks as if there was a lot of quilting inspiration there, I could see some lovely textiles in your photos. I was thinking the exact same thing as Linda, you should do an applique of your name, it looks so beautiful. 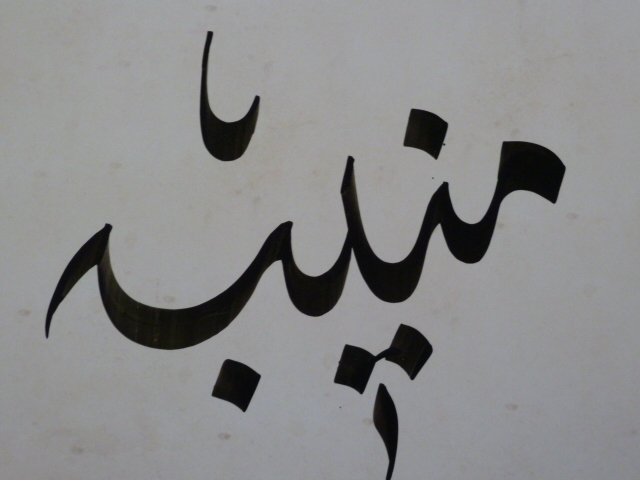 Shame that it is not easy to find someone who can write Arabic caligraphy in Sydney or Melbourne!! It is an art in itself.